Latest technology has changed the way we use our gadgets. These days we have a number of things like smartphone, tablets, as well as personal computers where we can access its functions by simply touching its screen. Now you need not have to use your fingers every time to use its different functions. Stylus Touch Pen is available which are supportive to use different features with ease. It is not only easy to use gadgets with Stylus Touch Pen but they can keep the screen clear also. If we continuously use our fingers then the touchscreen feature may not work appropriately after sometime. The design of these stylus pens are such that you can easily use your smartphone, tablet or any other gadget very easily. The appearance is very similar to a regular pen however the ballpoint tip is made from a cloth to prevent any damage to the screen. Plastic is another material used to design these tips. There is a special kind of conductive material present in these pens through which we can write. It is highly durable and we can easily maintain it. 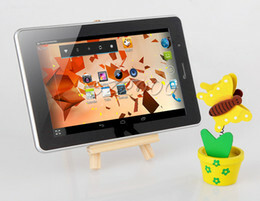 It is very easy to use it in your tablet or smartphone. Just touch the icon or folder and operate it normally like a computer mouse. You can also access your files and other documents comfortably with this method. Drag the icons whenever you want. There are various models based on Android, iOS, and Windows operating system where you can comfortably use it. It is a tool which can give you the experience of writing with pen. You can write on the screen in your own handwriting. The experience is like writing on a paper. There are different types of options present here. Durability of tip is one of the main things which we should check before purchasing a new touch pen. There are some good models which are compatible with all types of gadgets. Check those options if you have to access different kinds of technological devices as it can make your task much easier instead of using different Touch Pens. They are handy if you want to use drawing apps. Stylus Touch Pens are available in various colors. So you can get your pen in your favorite color. It is much better because you can easily work with it for a long time. Some people continuously use their fingers to access various devices. It is not a good option because it can leave fingerprint marks and the device may not look good after some time. There is special Stylus Touch Pen available for iPhone and iPad. Therefore check the compatibility before purchasing it. Internet is an excellent medium from where you can check all the details. Check the feedback before selecting your model. It can be much beneficial to select the correct model. Stylus Touch Pen is an excellent supportive tool that can assist you to keep the gadget safe. Use it and finish your task comfortably.